A private investigator and ‘corporate spy,’ who used to monitor and infiltrate activist groups, has donated money to a Conservative Party candidate’s re-election campaign. 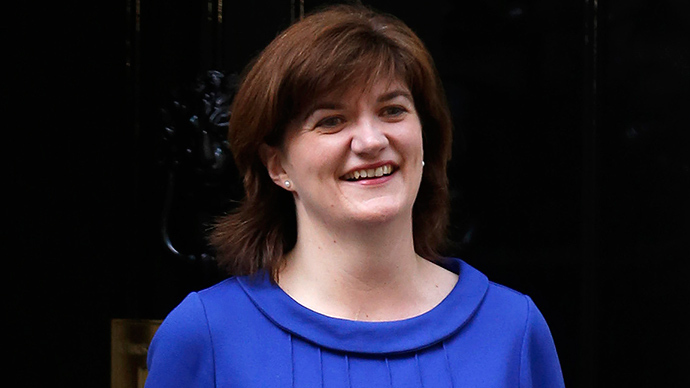 Paul Mercer gave former Education Secretary Nicky Morgan £3,220 to support her re-election in the marginal seat of Loughborough, Leicestershire. Mercer is also believed to be playing an active role in Morgan’s election campaign, where he has been canvassing and running a pro-Tory website. Morgan’s narrow majority is considered vulnerable by critics, with some suggesting she may lose her seat in next week’s election. Details of his work were exposed in 2007, when it was discovered he had been paid £2,500 per month by international arms trader BAE Systems to infiltrate and monitor activists of the Campaign Against the Arms Trade (CAAT). It emerged Mercer had been paid to hand over documents to the arms company detailing legal advice given to campaigners when they were planning a legal challenge. CAAT managed to force BAE to admit it had received the document containing legal advice from Mercer, who himself said he had no knowledge of where the document had originated. Firms who want to monitor the activities of potential trouble-making groups pay Global Open. The Guardian also found that Mercer had worked for another private security firm, The Inkerman Group, in 2003, where he was part of a team of eight, which infiltrated an anti-capitalist protest. He was reported to have often attended protests under the guise of a supporter where he took photos of activists. He confirmed that he had been present at “pretty well every major public order disturbance in London over that period,” including the poll tax riots.